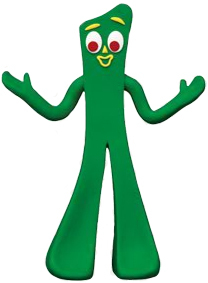 Do you guys even know what/who Gumby is? The reason I am calling this the "Gumby Edition" is because that's what my FIL called Mark in a voice mail he left. Why did Mark's dad call him Gumby? Well....because Mark has been gummin' it all week since he had all his teeth pulled on Monday. Oh calm down! Mark laughed too. Are you now wondering just how old my husband is? He turns 43 on Monday. Happy almost birthday to Mark! 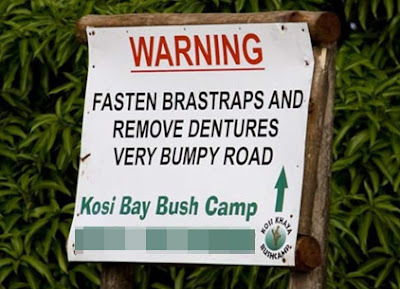 So he's not all that old, but he's always had bad teeth. He was born with weak tooth enamel, and then Type 1 Diabetes didn't do him any favors. He's had plenty of dental work done over the years, but since last Fall when Mark had bypass surgery, his mother has been nagging asking him to do something more because she knows how tooth decay can lead to other medical issues like....heart problems. Mark opted to get rid of all his crappy teeth and go with dentures. The cool thing is, he'll finally have nice-looking teeth. While he's happy about that, he says there will be a new kind of self-concious feeling because his teeth will suddenly look good. Changes. They always have their pros and cons, don't they? But all in all, this is a Terrific and Important thing for Mark and I'm Grateful that he will have a healthier mouth! What GOOD things happened in your world this week? Link up or comment, and make me smile! I was inpsired by your post and blog design for WMB so I came back to have a look around your blog. Your life, your struggles, your positive outlook - truly inspiring. YAY I linked up! Love Gumby. I am glad that you guys don't have to worry about that anymore. One less thing to worry about for his heart! That's a funny sign! You'll have to post a picture of Mark's makeover! I wish I had read your post before I published my own today. I have a great/silly thing to share for TGIF. Next week. Here is something positive for you. Reading about NaPoBloMo on your blog inspired me to give it a try. See you next week. Yay for Mark's new teeth!